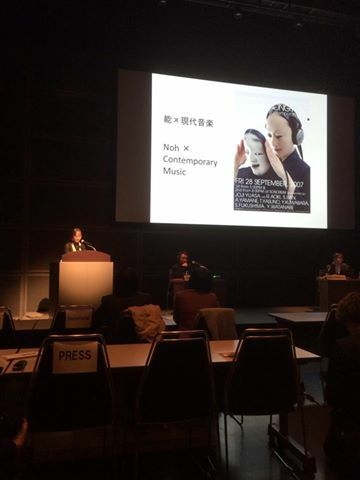 "Time Walker Media and Memory in a Mobile Society"
I participated in International Convention for Media Arts 2014 organised by Agency for Cultural Affairs Government of Japan in Tokyo International Forum. I talked with the programme director, Chihiro Minato (Artist and professor) and Gozo Yoshimasu (Poet, artist and filmmaker) on 25th January. Chihiro Minato and Gozo Yoshimasu. At the reception, with Kayoko Ota, Francesco Careri and Hajime Ishikawa. With Hajime Ishikawa, Keijiro Suga and Chihiro Minato. On 23rd, we walked around the palace. I really enjoyed walking with panelists! With Chihiro Minato and Hajime Ishikawa.